Having been very busy lately, I'm running a bit behind on all fronts. Still in the next few weeks I'll hope to write some short articles to get back on track and talk about some interesting new releases. I am for example very excited about the new volume (No. 19) in the Cormarë Series by Walking Tree Publishers. One thing is certain, whenever they release a new book it is always very interesting! This time it is a book in which we can learn a lot about the man behind The Lord of the Rings, Tolkien himself. 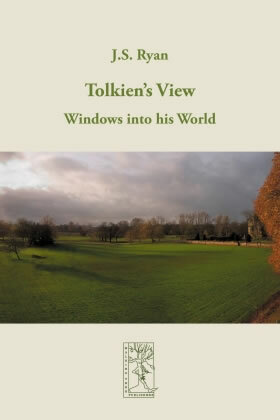 Tolkien's View: Windows into his World contains a number of selected essays by Professor J.S. Ryan, all but one previously published over three decades from the 1960s to the 1990s, on the theme of J.R.R. Tolkien and his works. Since most of these essays are very hard to find or the original publications very long out of print it is nice to see Walking Tree Publishers to put them all together. The good news is, as can be read at Lingwë - Musings of a Fish, that this book is only volume 1 of a series of two books. So we can expect more by Professor J.S. Ryan real soon! Professor J.S. Ryan is one of the few person who himself studied under Professor Tolkien at the time of the publication of his masterwork The Lord of the Rings. So he is uniquely well-placed to comment on some aspects of Tolkien's academic environment in Oxford, the subject matters J.R.R. Tolkien studied and brooded upon in his regular professional work and the people he personally knew, cherished and was influenced by as a student and then as a professor of Old and Middle English, a writer and a person. 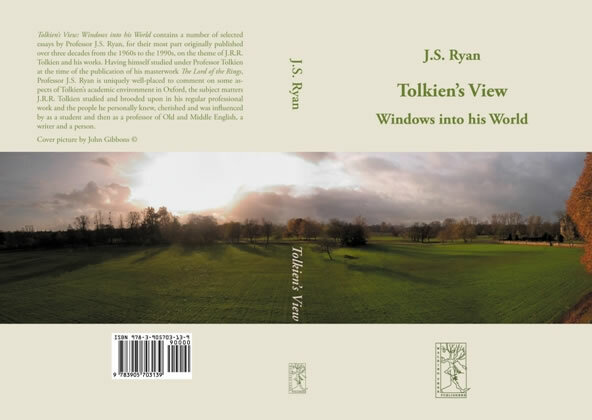 The stunning cover photograph by John Gibbons, which extends over the full width of the front and back covers, shows the view of Merton Meadows, Oxford, seen from the window of Tolkien's study.